Bangladesh wants capital punishment for methamphetamine traffickers, Mizzima News carries a report by AFP. According to the report, the proposal to crackdown on the spread of methamphetamine, known locally as “yaba”, comes after Bangladesh seized more than 40 million pills of the narcotic in 2017 — double the previous year. Quoting Bangladeshi officials on Thursday the report said authorities want to elevate yaba to a Class A banned substance, meaning traffickers would face the death penalty instead of life behind bars. “We’ll raise the punishment for yaba trafficking. In the new law the maximum punishment will be (the) death sentence,” Jamaluddin Ahmed, the head of Bangladesh’s narcotics control department, told AFP. Ahmed said traffickers had been more active since August, when Rohingya refugees fleeing violence in Myanmar began pouring into Bangladesh. Gangs had been using the Rohingya as mules and hiding drugs in fishing boats used to ferry the persecuted Muslims to safety. “Recently there has been such a huge inflow of yaba from Myanmar that it has become increasingly difficult for us to control it. As a result, its use has also increased,” Ahmed said. Raids of fishing boats have uncovered huge hauls of the drug. 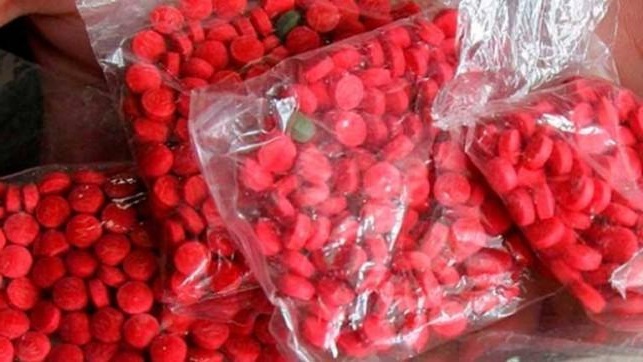 Authorities said last week that nine million yaba tablets were seized in less than three months as the refugee influx reached its peak. Nearly two million pills were discovered in a single haul.